If you are a astrology lover, if you want to learn astrology, if you want to know about vedic jyotish of Great India then here is the free tutorial of astrology for all. 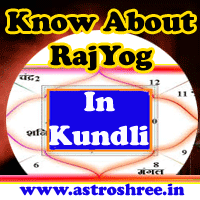 Regularly visitors can know about different important concepts of vedic jyotish of India. Learn about the important concepts of astrology online from anywhere. 1. It is necessary to have patience before starting reading about jyotish. Because it is not very easy to understand the rules. we must give proper time and thinking to understand it better. 2. It is necessary to keep faith in this subject. 3. It is also necessary to keep faith on invisible energies who are ready to help the practitioners who are in need. 4. No need to be superstitious. 5. Don't give up the topic if you are not getting it, read it many times and gradully it will reveal it's mystery. 6. Life long research is necessary to learn and understand different topics of astrology. In the vedas(scriptures) of India, astrology is said to be the eyes of vedas because it gives us the power to know about the science of planets, auspicious time and also gives us knowledge to predict future events. Do you want to know in how many parts astrology is divided? Do you want to know about siddhant, hora and sanhita? Do you want to know, how to approach astrologer for guidance as per our holy books?